Have you ever wondered why you have sensitive teeth? Why suddenly your favorite ice cream is impossible to enjoy? Or why you cannot drink your coffee in the morning without wincing? It could be because of some of your habits that are causing the sensitivity. Sometimes changing these simple things could make a huge difference in the amount of pain that you feel and prevent the need for any type of invasive dental procedures. If your diet consists of a large amount of acidic foods, you could be wreaking havoc on your oral health. Foods that are high in acid eat away at the enamel of your teeth. The enamel is what protects your teeth from pain from hot and cold foods. As the acid continually eats away at the enamel, your dentin is eventually exposed, which is what causes the extreme pain in your mouth, making it difficult to consume hot or cold items. If you have become obsessed with trying to obtain a whiter smile, your tooth whitening efforts could be to blame for your sensitive teeth. If the products you use contain peroxide, chances are they are irritating your gums and causing your teeth to be more sensitive. The good news is that when you stop using these products, your teeth typically become less sensitive. If you still want to whiten your teeth, you can consult with us on ways that we can professionally whiten them without the damage from occurring. Some people brush their teeth so hard that they cause damage to the gums and surrounding tissues. If you brush too hard, you can make your gums and teeth pull apart from one another. This allows the dentin below the enamel to be exposed, which causes the sensitivities in your mouth. Sometimes you can have damaged teeth and not even realize it. Cracked or fractured teeth can give food and drink access to the lower layers of your teeth, otherwise known as the more sensitive parts. If you suddenly shriek in pain while drinking an ice cold water or your favorite coffee is no longer enjoyable, a cracked tooth may be the culprit. If you cannot find it, you may need to come in for an appointment so that we can see what the problem is in your mouth. Has your significant other told you that you grind your teeth? If so, it could be the reason for your tooth sensitivities. Grinding obviously eats away at the enamel on your teeth. If the enamel is ground down too hard, it can cause your mouth to feel excessive pain when you eat or drink. The easiest way to find out why you have sensitive teeth is to come in for an appointment. 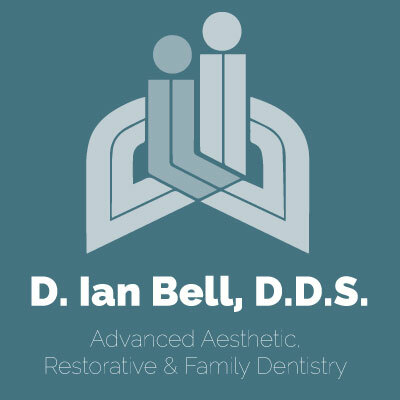 We can evaluate your mouth to see what the issue may be. We will discuss your habits with you as well as look inside your mouth to see what is going on. We will provide you with easy solutions to minimize the sensitivities and allow you to enjoy your favorite foods again. Typically, all it takes is for you to change your habits in order to make yourself feel better. In extreme cases, some dental work may need to be done, such as dental crowns or fillings in order to strengthen the area back up in order to allow you the proper function of every tooth in your mouth. If you are suffering from sensitive teeth, please call our office for an appointment. We will help you pinpoint why you have sensitive teeth and what you can do to fix the problem.